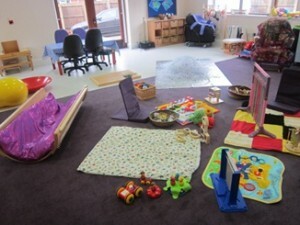 We are now running a Sensory Stay and Play session in the Nursery. The group meets on Monday afternoons during school term times, and runs between 1:30 and 3:00. It is geared towards under 3’s with complex physical, sensory, medical or health needs, or a combination of these difficulties. Children need to attend with a carer, and pre-school aged siblings are also welcome to come along. 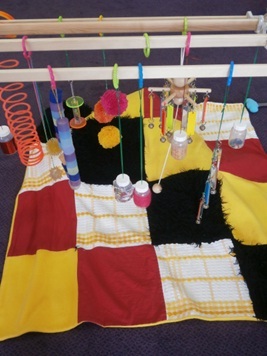 We provide a wide variety of sensory and movement based play experiences which families and their child can enjoy together, using the lovely resources we have in the Nursery room and garden. 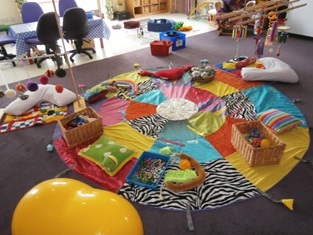 We also have access to the school’s large multisensory room for some sessions. Our aim is to provide a positive environment in which families can enjoy and celebrate their child, whilst sharing the tough and frustrating times with other families who are ‘in the same boat’. There is no charge for attending the session.